Panasonic announced at the IFA technology show in Berlin that it will boost its 4K Pro range of premium TVs with an 65” OLED model with stunning picture quality tuned and approved by a leading Hollywood colourist. 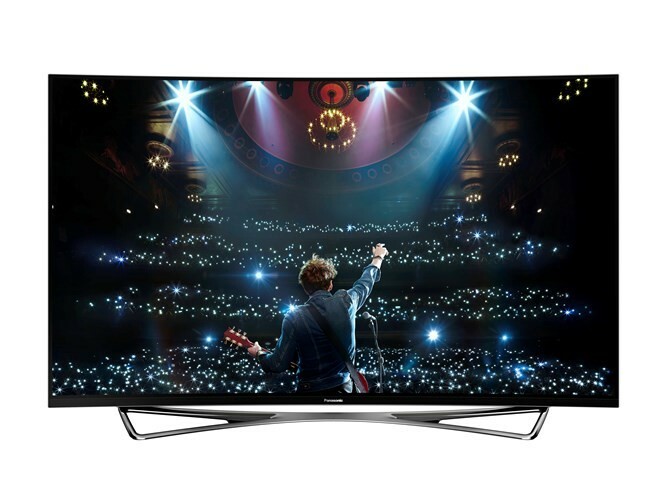 The Panasonic TX-65CZ950 brings together for the first time Panasonic’s decades of picture quality know-how and latest processing technologies with a native 4K UHD resolution and OLED screen technology. The exciting thing about OLED TVs is that every individual organic pixel in their screens can create its own individual light and colour output. This means an OLED screen can produce light and colour with a degree of accuracy and dynamism just not possible on conventional TVs. In fact, OLED screens can achieve even deeper blacks than Panasonic’s legendary plasma TVs, while also avoiding the picture noise associated with plasma technology. OLED’s brilliance as a screen technology is actually only part of the overall TV story. Getting the most from OLED means driving it with advanced picture processing capable of unlocking its full potential – which is where Panasonic comes in. The TX-65CZ950 is equipped with a specially modified version of the powerful professional-level 4K Studio Master Processor. Using technology inspired by Panasonic’s professional AV division in conjunction with the knowledge and experience of experts from the Hollywood film-making community including renowned colourist Mike Sowa, who has professionally tuned the TV’s picture performance, the 4K Studio Master processor takes the TX-65CZ950’s OLED screen to a standard of performance never seen before. OLED’s ability to deliver a new level of black level response – which Panasonic calls Absolute Black – has actually been a challenge for OLED TV makers, since the shift from complete blackness to just above black is a very difficult gradation step to render. However, Panasonic’s experience with plasma technology has enabled it to solve the issue on the TX-65CZ950, resulting in unprecedentedly beautiful and precise detailing even in the very darkest picture areas. With the TX-65CZ950, if a detail was filmed by a director, you’ll see it on the screen. The idea of recreating at home what filmmakers wanted you to see when they created their movies for the cinema lies at the heart of the Panasonic TV philosophy. So to fully realise the potential OLED has for making this long-time TV dream a reality, Panasonic has partnered with leading Hollywood colourist Mike Sowa – four-time finalist in the Hollywood Post Alliance awards – to first tune and then approve the TX-65CZ950’s picture performance. All a consumer needs to do to access Sowa’s settings and get instant fidelity to the director and cinematographer’s vision is select the TX-65CZ950’s True Cinema picture preset. Reflecting the care which has gone into perfecting the picture performance of the TX-65CZ950, Panasonic also revealed that it has been certified by THX – making it the first ever 4K OLED TV to be so certified by THX. “OLED is a very promising display technology but getting an accurate picture from an OLED TV is quite challenging. THX put the CZ950 through over 400 laboratory tests working with Panasonic engineers to make certain each pixel’s performance is accurate to the source content. The result is a television capable of creating bright objects with excellent white uniformity that delivers native 4K and up-converted HD images with the contrast and clarity previously reserved for professional monitors,” said Eric Gemmer, THX Director of Imaging Technologies. The TX-65CZ950’s quest for perfection in recreating a director’s vision doesn’t just stop with OLED’s peerless black level response and the power and accuracy of the 4K Studio Master Processor. The TV also supports the new High Dynamic Range (HDR) technology, as per the standards recently announced by the CEA, that’s already making big waves in the video world. HDR delivers images with wider luminance and colour ranges for a much more dynamic, luminous, life-like look much closer to the experience you could previously only get at a good quality commercial digital cinema. In fact, OLED’s black level and greyscale performance make the TX-65CZ950 the perfect partner for HDR. As if Panasonic’s OLED TV’s picture quality attributes weren’t already appealing enough, Panasonic have also striven to make this the most attractive TV they have ever produced. Inspired by high-end furniture design, the TX-65CZ950 has been designed from a 360 degree perspective to fit in harmoniously with contemporary living spaces as a furniture piece in its own right. The tension and structure of the aluminum pedestal adds a furniture and interior quality, while the slim profile and gently curved backcover is upholstered with Alcantara® ensuring that it looks and feels like a piece of high-end furniture able to enhance any room it appears in.